There’s hardly a lack of running metaphors in politics. You run for President. It’s a presidential race. 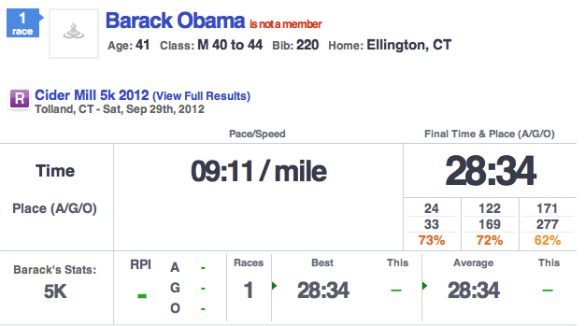 Obama running against Romney. 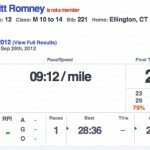 Romney running against Obama. I’m not going to get into the actual politics here — though I will say this: Whichever side you’re on, vote! Obviously, it’s a prank. 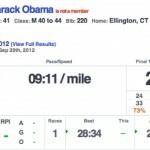 As you can see, “Barack Obama” is 41 years old (the real one is 51), while “Mitt Romney” is 12. Funny. I guess they didn’t have ID check at registration. 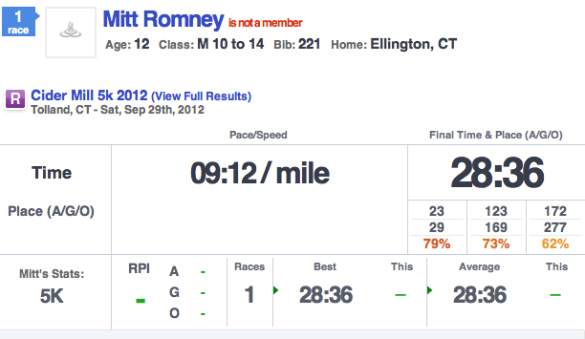 “Obama” beat “Romney” by two seconds, but whether that was intentional, we’ll never know. Unless we track down the duo from Ellington, CT (father and son? uncle and nephew?). Hey, faux Barack and Mitt, if you see this, drop me a note! Tell me about running together! 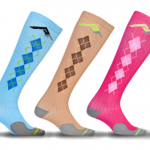 In other news, Pro Compression just announced a deal on their Marathon Argyle compression socks (a style they just launched) that I couldn’t resist. Normally $50, you can get those new babies in pink, baby blue or khaki for $30, with free shipping, to boot. Use coupon code SOM112 (valid through November 30, 2012, or while supplies last). 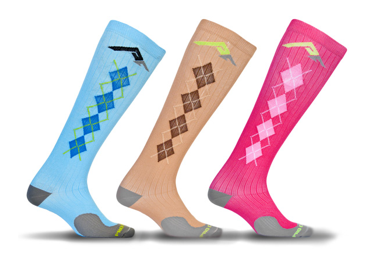 I’ve been loving my calf sleeves (and bought them with a sweet discount deal, too), so I ordered the argyles in pink. Can’t wait to try them! 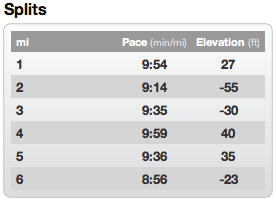 I won’t be able to run for the next three days, so this was a “binge” run, I guess. Just cram it in there, as much as you can during “runch”! 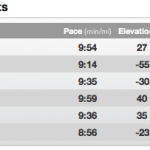 Runch is a new term I learned today from the ladies at Another Mother Runner. It’s a run during lunch. Ha!